London-based alt pop singer songwriters Oh Wonder are riding high after the release of their second studio album Ultralife in the Summer of 2017. The dynamic duo, comprised of Josephine Vander Gucht and Anthony West, achieved critical and commercial success with their heady combination of soaring choruses, glimmering soundscapes and killer pop hooks. No strangers to sell-out shows that are packed to the rafters with fans of all ages, Vander Gucht and West imbue their music with a London Grammar-esque etherealness, yet don't shy away from sharper, heavier moments. The color in their music is reflected on stage in their feel-good jams that have audience members singing along at the top of their longs. Wear some comfortable shoes - there'll be many a chance to dance as well! Sound good to you? 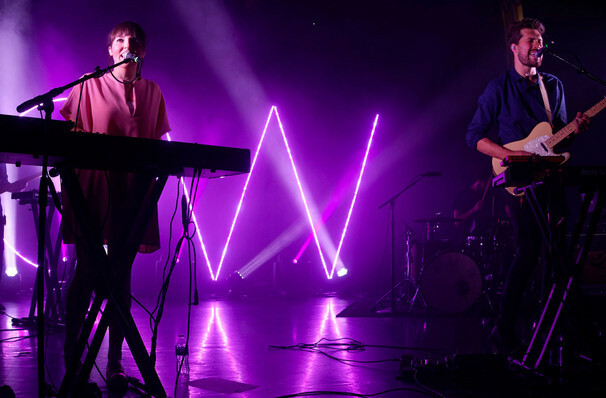 Share this page on social media and let your friends know about Oh Wonder at The Ritz. Please note: The term The Ritz and/or Oh Wonder as well as all associated graphics, logos, and/or other trademarks, tradenames or copyrights are the property of the The Ritz and/or Oh Wonder and are used herein for factual descriptive purposes only. 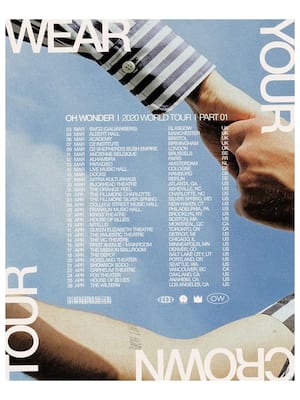 We are in no way associated with or authorized by the The Ritz and/or Oh Wonder and neither that entity nor any of its affiliates have licensed or endorsed us to sell tickets, goods and or services in conjunction with their events.